My Boys Club, was recently invited along to the press launch, of the newest trampoline park to open in the North East. The boys love trampoline parks so we had no hesitation in accepting this invitation, however little did we know that we’d become Geordie Ninja Warriors once we were there. Jump 360 already has two venues in the region but a third was about to open on Bellway Industrial Estate, in Benton in Newcastle upon Tyne. The other two are in Stockton and Hartlepool. You can read about our visit to Jump 360 in Hartlepool earlier this year. By injecting a new lease of life into disused buildings and warehouses, Jump 360 aims to provide exciting and exhilarating indoor trampoline park experiences across the North East. 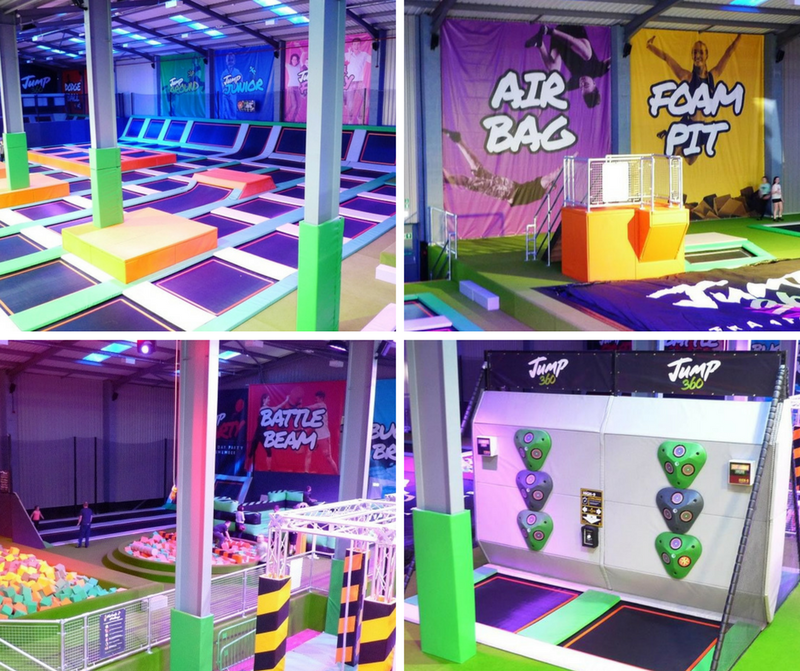 We’d really enjoyed our trip to Jump 360 in Hartlepool and were expecting more of the same in Newcastle. But what we got was even better. 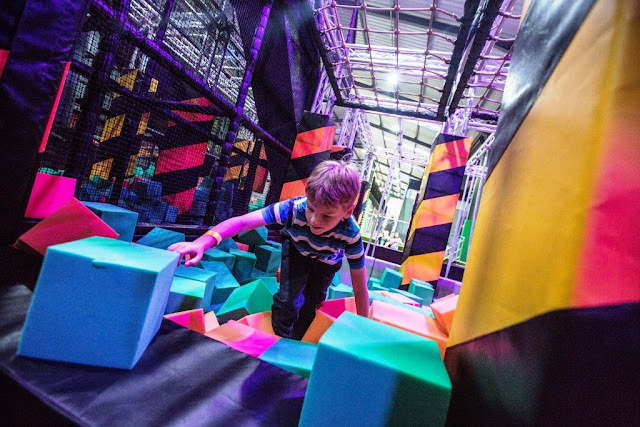 At the new trampoline park, there are still the trampolines beds, aero ball, foam pits, traverse climbing wall, the basketball, the dodgeball, and air bag that we've enjoyed at the other venues, and these are brilliant fun. But, in addition, there is also a bucking bronco so you can pretend you are a cowboy or girl, and a Ninja Warrior course. 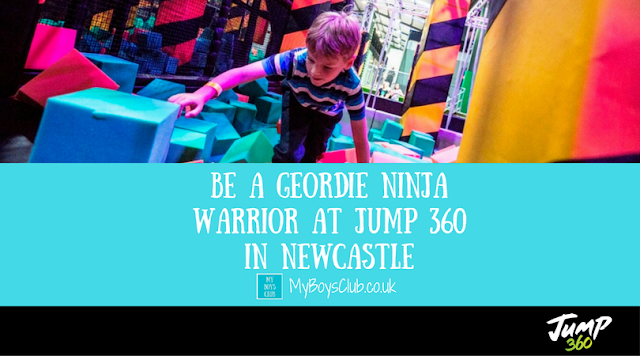 Yes, you can become a Geordie Ninja Warrior. And it’s not just for kids! The Geordie Ninja Warrior is amazing. It feels like being on the TV show, except you don’t get wet when you fall off! Big or small. Child or adult. As long as you are over 4ft tall you are allowed to be a contender. And you really are a contender as you can race your friend or family member along the course, or tackle it solo if you prefer. Whoever hits the red button first, wins. There are two tracks which take you over 20 challenging obstacles. 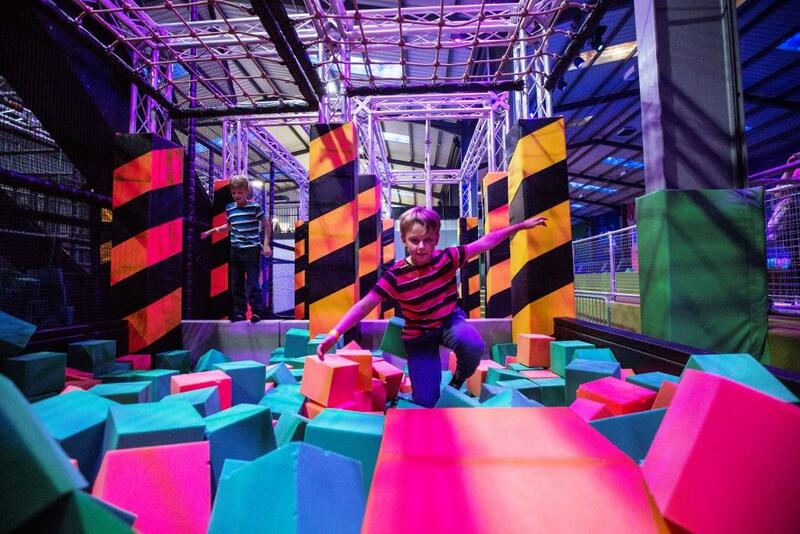 You’ll need to scramble up cargo nets tiptoe your way across balance ropes and zoom down the racing slide, jumping climbing and swinging your way closer to glory. I think the new Jump 360 trampoline park is really great fun for all ages. 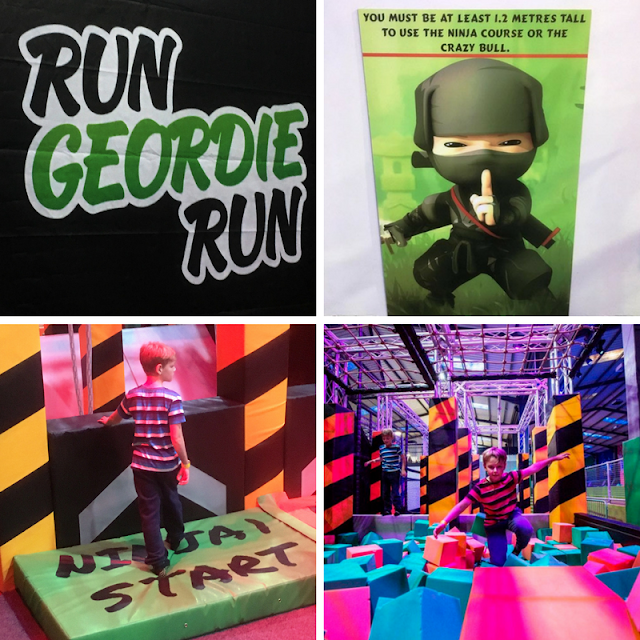 I can see the Geordie Ninja Warrior course being really popular - my boys had at least 10 goes on their first visit and can't wait to go again. It's great to have such a fun facility on our doorstep. And they both want to hold their next birthday celebrations there – they say their friends will love it! All jumpers must complete a waiver before entering the park. This can be done online or once at the venue. Everyone must attend and listen to the safety briefing. Everyone jumping at Jump 360 must be wearing special Jump 360 grip socks, which are priced at £2. These socks are a vital way to reduce the risk of injury and must also be worn for hygiene reasons. Once purchased, Jump 360 grip socks can be re-used on future visits to Jump 360. There are different sessions throughout the week for Teens, Adults, Toddlers as well as Birthday Parties, fitness sessions and a session dedicated for individuals with additional needs or disabilities. Full details are available on the Jump 360 website. There is also a cafe upstairs, from where you can view the whole trampoline park. Perfect to watch from, if you are not bouncing yourself. 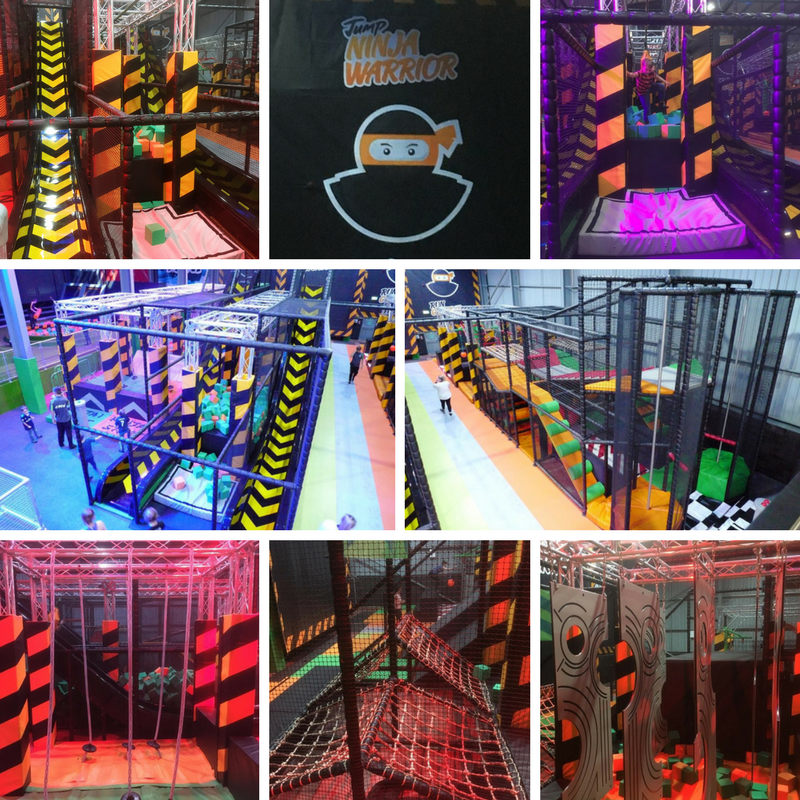 Would you like to be a Geordie Ninja Warrior? Disclosure: The whole family were invited to the press launch and received complimentary admission to Jump 360 in Newcastle. I don't know who would enjoy this more, me or my boys! !